We are just coming off of a major national campaign to revive our old schoolyard. We’re not sure of the results yet, but it has been a hard slog, encouraging support and voting every day. If we make it to the next round it will be by the skin of our teeth! 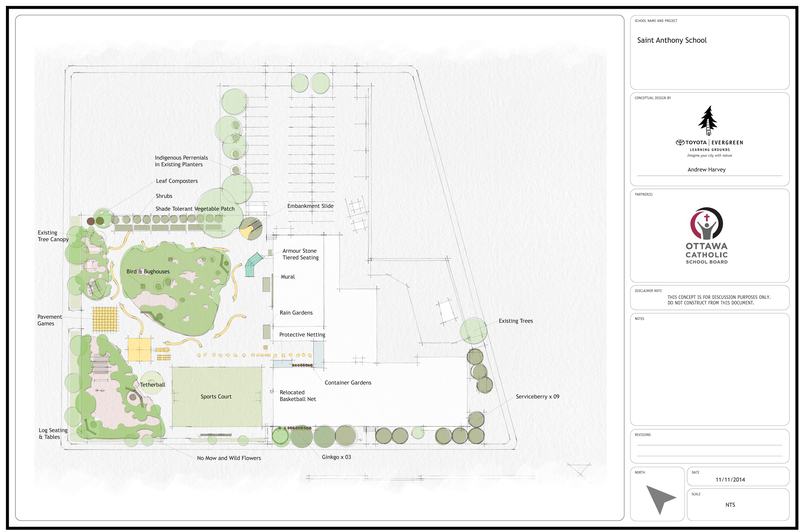 Here is the concept drawing that was developed for our yard – we will get this done! We have applied for grants throughout the fall, but this doesn’t seem to be the right approach. Grant writing takes a long time and usually the results are negative. So, today, we start a new approach. We are going to promote all the great things about our school and our community and see who out there wants to work with us! We have great kids, totally engaged in learning, happy for what they have who display daily a love of learning and a joy for living. We have a great, dedicated staff who really work hard with our kids. The results show in the provincial testing where are kids consistently score above provincial and board averages. We have a great supportive community with all sorts of services for struggling families and for those who don’t speak much English or French. Right now, we have a cooperative daycare in our basement and a new community agency room on the second floor housed by groups connected to the school and open to finding ways to engage our parents in our school. We are developing a vibrant makerspace through a generous donation from our superintendent. The makerspace is supported by an ‘innovations groups’ made up of profs from the university of Ottawa, student teachers, local entrepreneurs and a few principals. We don’t have much equipment yet, but we hope our group will come up with more resources as we look for second-hand lego and other materials. 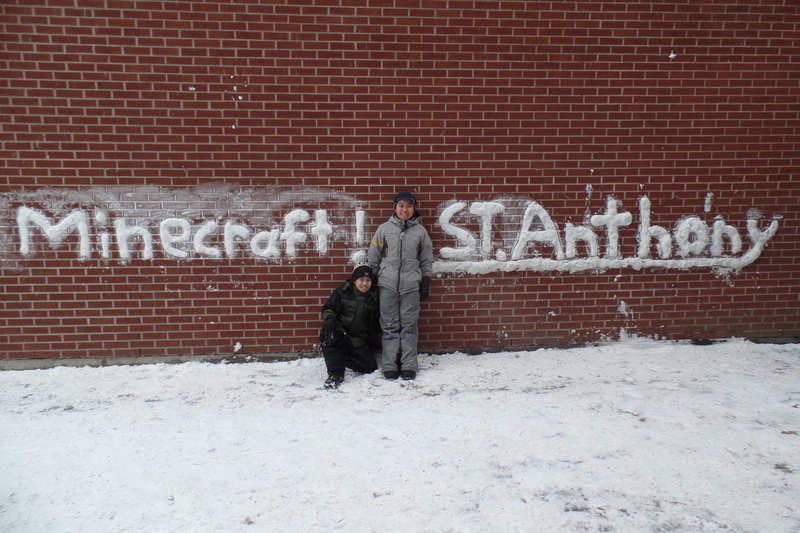 Our kids are also mad about Minecraft! We want our own server so we can run the program on Minecraft edu, safely for all our students. They have great ideas on how this can be used for education and have done some great writing about how we can bring this into the classroom. We are running a terrific arts program. The kids have all taken part in hip hop lessons and there is much more to come. 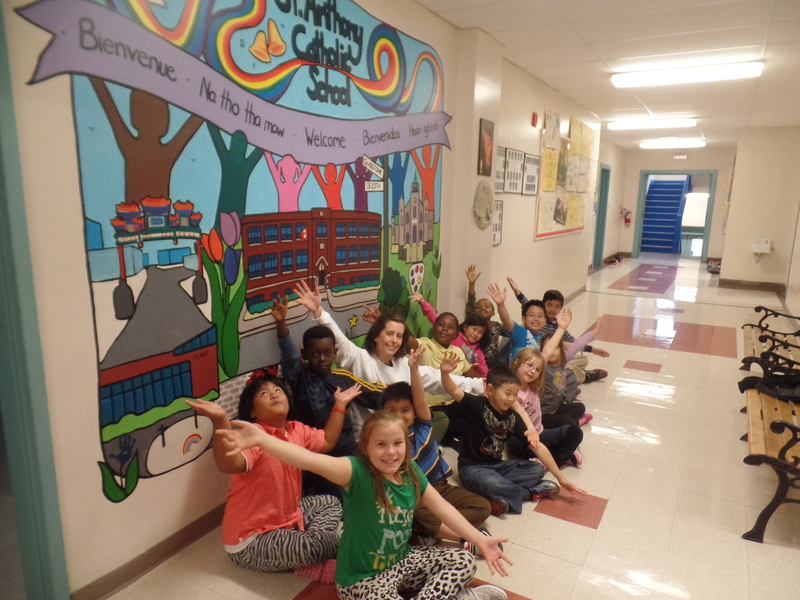 They have worked with a local artist to create a beautiful mural right in the entrance to our school. The mural is an expression of how the students see the community – we are all really proud of this. We will go beyond hip hop and add music and storytelling as the year progresses. We are also experimenting with a computer lending program. 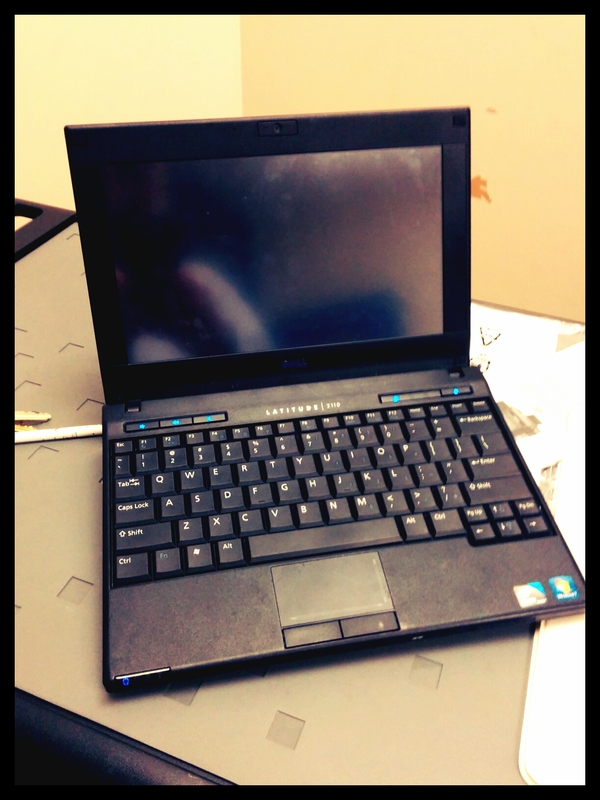 We have old Dell Netbooks that aren’t being used much anymore. We are starting to lend these out to students and families for the year so that they can continue to work on programs like Raz Kids, Mathletics and Dreambox. We need more of these machines to give out and we have to ensure that the machines are hooked up to the internet. We are also working with our partners to develop a parent outreach program. School Board in other jurisdictions like Hamilton-Wentworth and having lots of success offering parent workshops at the same time as they offer student tutoring and enrichment. We would like to find a way to do this here. So, are you interested in working with us? We would make a great partner! Sounds like you’re doing some amazing things at your school! Definitely pursue partners, but don’t give up on grants. With all the amazing things you guys have happening, I’m sure you could explain how improving your schoolyard would make your students’ experiences even more awesome. Maybe try to do it one phase at a time so that the costs can fit with grants. I don’t know if they’re available in Canada, but Lowes Toolbox for Education is a great grant for making physical improvements to a school space.